The winners of the second annual Paris competition that calls for architects to design new ways to “reinvent” disused or hidden underground spaces and buildings across the city have been announced. 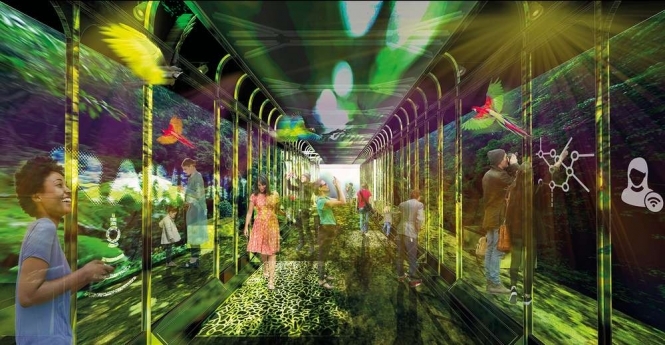 The “Réinventer Paris: Les Dessous de la Ville (Reinvent Paris: The Undergrounds of the City) 2019” competition is held by the City of Paris authorities. The competition called on architects and designers to submit ideas that would “reinvent” disused, forgotten or lacklustre underground spaces, such as old car parks, tunnels and Métro stations. The projects were also expected to help the capital’s inhabitants use the spaces, and increase the “social and cultural exchange” between people. From 217 overall entries and a shortlist of 85 projects, the winners have now been announced. These include Fontès Architecture, for its design of the Palais Royal-Musée du Louvre Galerie Valois Métro station; Studio Dorell for its re-imagining of the Henri IV Tunnel; Emerige for its design of the Esplanade des Invalides; Novaxia for its restaurant space idea for the old Métro Croix Rouge station; and The Wall - Arkose for its Espace Viaire under the Métro Line 6 viaduct. All projects were collaborations between several architect studios and design consulting firms, with the awards recognising this, and mentioning all partners, as well as the projects’ lead partners. The designs were not merely conceptual. The feasibility and projected cost of the projects - were they ever to be built in real life - were also taken into account at each stage. This included budget, as well as planning restrictions and other on-site rules. The winning designs will not necessarily be built in real life, but they may be proposed as solutions to the rebuilding of public spaces should the City of Paris decide to consider them in future.